It’s one thing to remove allergens from our diet, and it’s another to learn to eat something new. A truly healthy diet requires that we do so. Here is a list of some of the amazing superfoods that most people don’t eat in the Western world. In the healing phase of the Pegan diet, bone broth from pastured animals is a must. It will heal your gut, which will allow you to add back foods that the normal Paleo doctrine doesn’t allow (e.g. soaked legumes). I used to make bone marrow broth from pastured buffalo, but now I’ve moved on to use salmon heads instead, and I use the resulted fish broth for my soups. It’s difficult to find wild salmon heads though, so in that case, opt for wild fish bones found in most Asian markets (if you ask the butchers there). Kefir is a superfood with great nutrition and probiotic abilities, coming to you from Caucasus. The big difference with yogurt is that its “grain” bacteria actually colonize the human gut, while the yogurt ones (extracted from the gut of cows which is not fully compatible with the human gut) tend to shed away after a few hours/days. 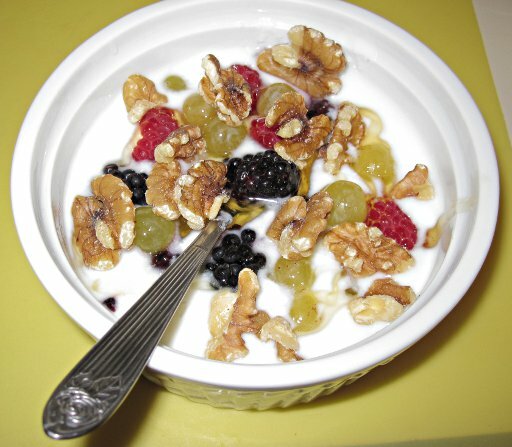 It also contains over 40+ bacteria/yeasts, while yogurt contains 4-6. Please note that for kefir to be potent, it MUST be home-made (commercial kefir only has up to 10-12 strains). In other words, kefir is more potent than yogurt, and it can fight even super-bad strains, like C-Diff. This doesn’t mean that we don’t need full fat yogurt though. Dairy, when it’s made with casein A2 (goats/sheep/buffalo), and when it’s properly fermented for 24 hours to remove most lactose, is an acceptable food for most. And kefir tops it all off. 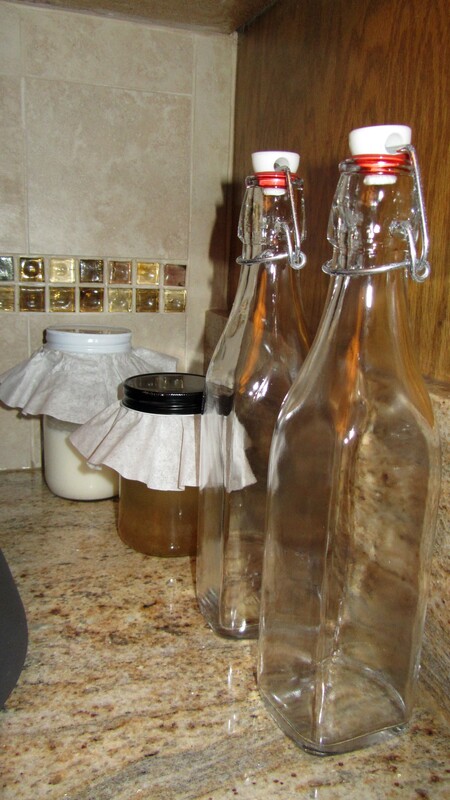 If you can’t do dairy, go for water kefir (using real, brown sugar, not honey). 3. Fermentation: Sauerkraut, Miso, Natto, kimchi etc. Fermented foods is another important missing piece in the modern diet, but thankfully, unpasteurised sauerkraut & kimchi are still easy to find in health stores or on Farmer’s Markets. They go great with sashimi too! *Unpasteurized* non-barley miso is also great in miso soups (make sure your soup is not too hot when you’re adding the miso, or you will kill the beneficial bacteria in it). Natto is fermented soy beans with a lot of PQQ and K2 vitamins in it, but it requires a lot of getting-used to as its taste is very particular (fermented wheat-free tamari, unpasteurized soy-based miso & traditionally-prepared natto are the only soy-based byproducts that are considered healthy and acceptable on Paleo and Pegan). 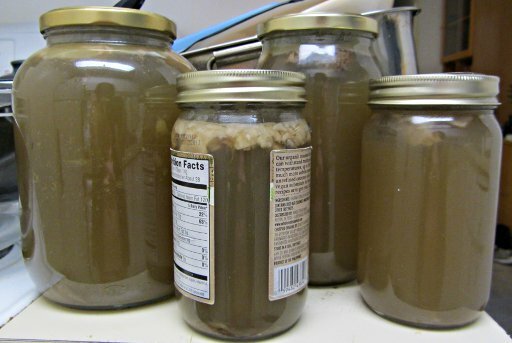 Other fermentated options are lacto-fermented vegetables, whey-fermented home-made mayonaise, and pickles. Cold-pressed, virgin, unrefined coconut oil is a magical oil for cooking, and even for topical application (e.g. skin problems, fungus). It has anti-bacterial properties, but the biggest one for me is that it can bring amazing mental clarity. Cook with coconut oil for a month, and you will realize that you had brain fog for most of your life without knowing about it. Use extra-virgin, cold-pressed olive oil for salads and raw foods only, and avocado oil in high-heat frying. Ah, sea veggies. When I told my mom in Greece what these are (“φύκια”), she nearly gagged. But these sea veggies are delicious when prepared properly (as a salad or in miso soups), and they have a different kind of nutrition than most land-based foods. Not to mention that they have high doses of iodine, which is important for proper thyroid function. Go for a variety of these, not just nori. 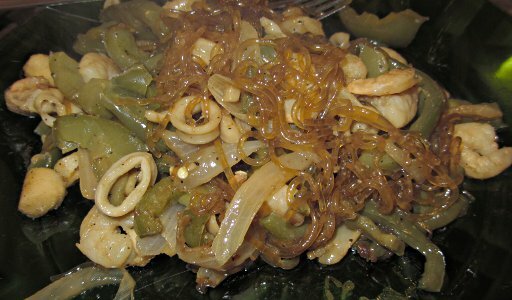 Then there are also these kelp “noodles”, which are great in seafood stir-fries! Most people who can tolerate shellfish eat shrimp. But there’s a whole world of shellfish to explore, from urchins to clams and saint-Jacques to name just a few. The most nutrient-rich ones though you should be going after are oysters, don’t skimp on them and their super-high content of Zinc! Oysters is the second most nutritious food in the world after liver. When it comes to fish, stay with wild fish only, and particularly wild Alaskan salmon (the only truly wild salmon), and wild whole sardines. 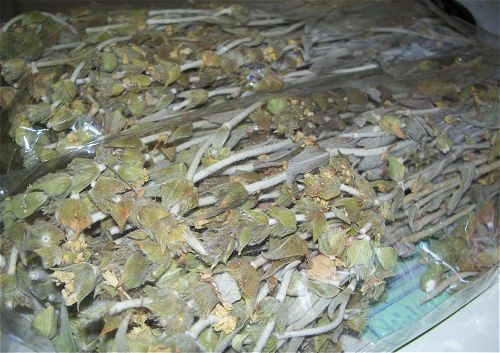 A herbal tea that unfortunately isn’t currently under the Paleo radar, but it’s possibly more potent than kombucha in many different health areas, is sideritis, or “Greek Mountain Tea“. Don’t take my word for it, just read Pubmed’s research results! The thing obviously works, while Kombucha hasn’t shown good results on research! Here’s how to prepare it. Other very healthy herbal teas are the Cretan “Dictamnus” (even more difficult to find than Greek Mountain Tea though), and good, old plain chamomile. Just don’t root for coffee or highly caffeinated teas. Caffeinated teas also contain high amounts of fluoride, while herbal teas don’t. Honey gets the bad wrap in the Paleo community mainly because most Paleo dieters are in it for the weight loss, and not as much for the additional health benefits. Unless you’re following a Paleo-ketogenic diet, then honey is one of these superfoods that you should not be avoiding. Yes, it’s got its share of glucose and fructose, but then again, so do most fruits. In order for its anti-microbial and anti-allergenic properties to be potent, it must be raw, unfiltered, AND local. Don’t look at buying big brands, look at your local farmer’s market instead. Don’t use it with kefir (since its anti-microbial properties kill the good kefir bacteria), and don’t heat it up. 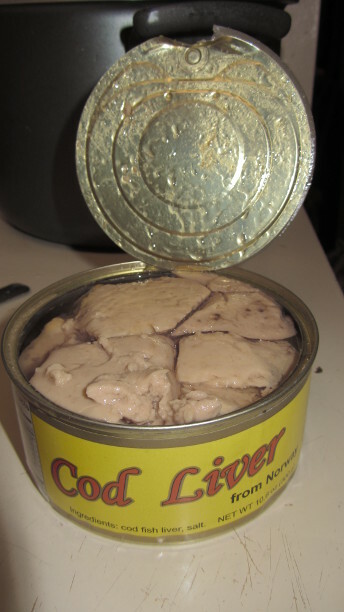 Cod liver from Norway (unfortunately, canned) is a great substitute for offal for those who don’t eat land meat. 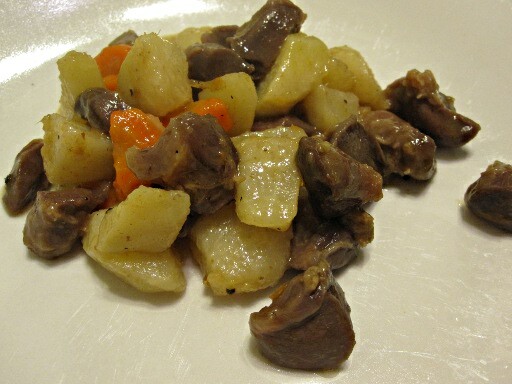 Its taste is very mild, it in fact, resembles duck foie gras! I eat it as-is, but I watched a recipe about it over at Martha Stewart’s website (by an Icelandic chef), and the consensus is that it tastes like “lite” foie gras. A lot of D3 and vitamin A in it too, one of these superfoods that people never eat. Even better when fermented. Considering that this is much healthier than non-wild, forced-fed ducks and that it costs about 30x cheaper than true foie gras, I think it’s a great choice. A staple among the Hanza tribal people (that are often a reference among Paleo dieters), baobab is a fruit similar to coconut. It has blood glucose stabilizing effects among other benefits. 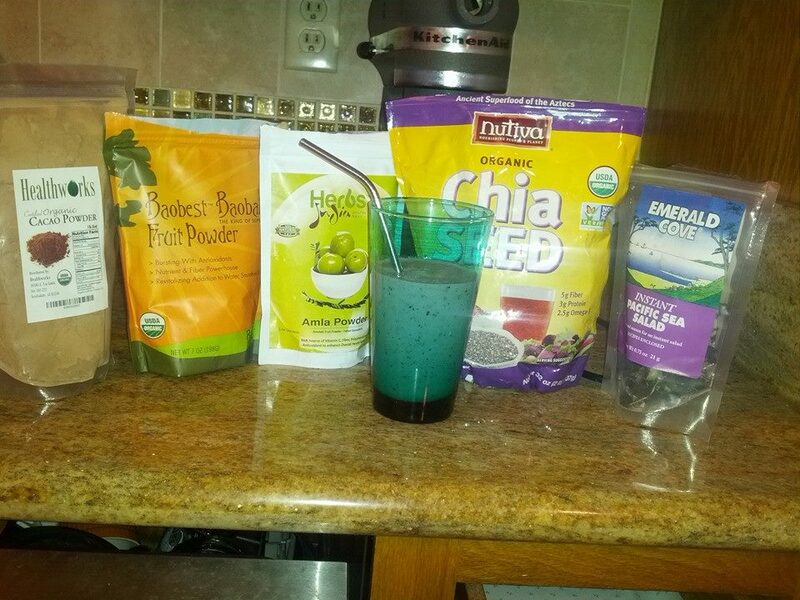 Additionally, you can try some other dried powders, like goji berries and other exotic fruits. These are the most potent “herbs” you can use in your cooking. Plenty of health benefits and anti-oxidant value. Prefer your garlic as young and as raw as possible btw. Cook with these very frequently! While I personally don’t eat much land meat anymore, the official Pegan diet as described by Dr Hyman includes small amounts of meat. The most nutritious part of any meat is liver. Heart, spleen, brains and bone marrow are equally important. Spleen is my favorite, with a traditional intestine soup called Patsas being second. In my native Greece, we also have a recipe called Kokoretsi, which includes all offal of the animal except brains, held together with intestines, and then grilled as rotisserie. Yum! This might come as a surprise to you, but on Paleo and especially on Paleo-ketogenic you must drink a lot of water. More than usual. But for water to work its magic, it must be spring water — not tap water. It must have minerals in it, no chlorine, but most importantly, it should not have fluoride (apart from a small amount that occurs naturally, rather than being added). Fluoride can’t be removed with normal water filters. It prohibits healing and must be avoided at all costs. Switch to a fluoride-free toothpaste too. It’s indeed not very nice that you would have to buy plastic water bottles for your drinking/cooking water, since they contribute to pollution, but the alternative is as grim too. Check on your county’s website to see if your water supply has added fluoride in it. In California, they all do, for example.